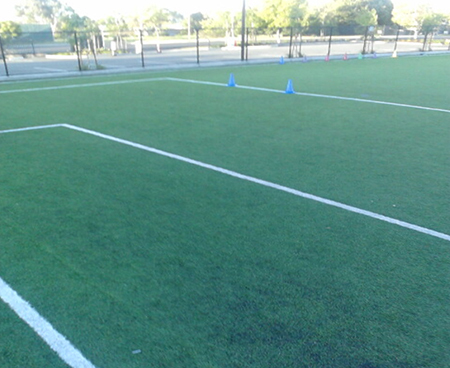 Stripe-A-Lot has experience working with many different sports field surfaces, from natural grass, to artificial turf, asphalt sports courts, playgrounds and more. This practical experience gives us a good understanding of how to maximize or minimize the marking on your field for your specific goals. When space is a factor, like a field doubling for two sports and needing quick turnover, Stripe-A-Lot can work with you to add striping that will bring clarity to your fields, sidelines and space. Stripe-A-Lot can assist you in all aspects of athletic field striping, and make your sports fields look professional at a cost that is affordable.